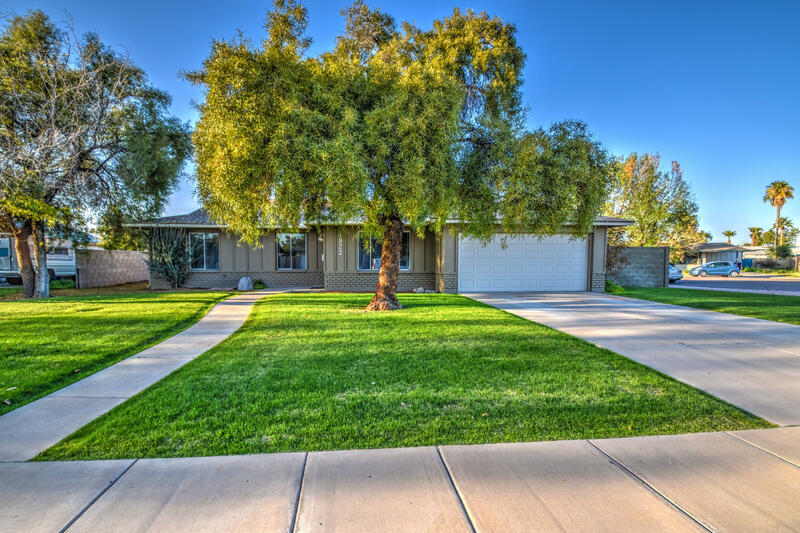 Light, bright and updated 4 bedrooms, 1.75 bathrooms home with a 2 car garage is nestled within a convenient Tempe neighborhood. Open floorplan has living room & family room. Updated kitchen has granite countertops, updated appliances and large breakfast bar. Neutral paint throughout and updated bathrooms are great features. Large backyard has spacious patio. Great energy saving features include north/south exposure and ceiling fans throughout. Less than 2.5 miles from ASU, 4 miles to Downtown Tempe, 1.5 miles from the nearest Light Rail park and ride and approximately 0.2 mile to the nearest Orbit stop off Alameda Dr and Los Feliz Dr. North/south exposure, near US 60, Loops 101 and 202, shopping,dining & more!